Today's challenge is "Over Red". 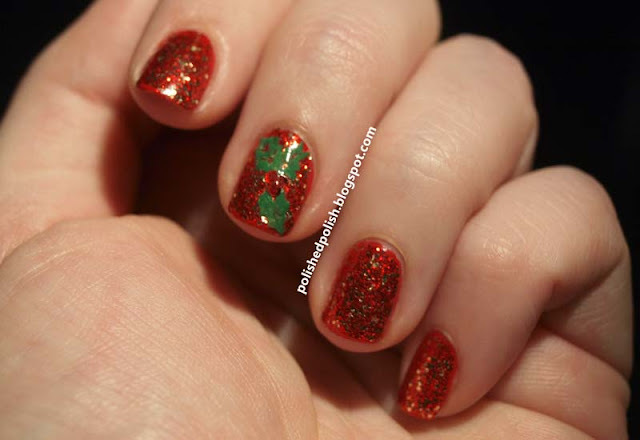 Perfect opportunity to get in some holiday manicures that I've been slacking about. 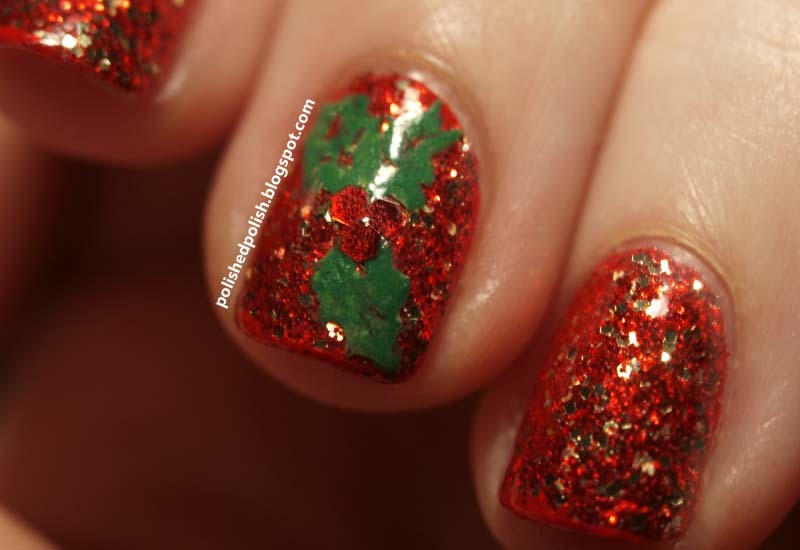 I'll be out of town over Christmas without my camera and nail stuff so I only have a couple of days to do some marathon holiday nail art. I started off with Elmer's glue and a base of e.l.f. Smokin' Hot. China Glaze Pure Joy could be applied alone but didn't give clean edges. After several coats of NYC Grand Central Station to make the surface smooth, I stamped the holly with Wet n Wild French White Creme and painted green over the top with acrylic paint. The holly berries are glequins from the Born Pretty Store.